Morgan Freeman Net Worth: Morgan Freeman is an American actor, film director and narrator who has a net worth of $250 million dollars. 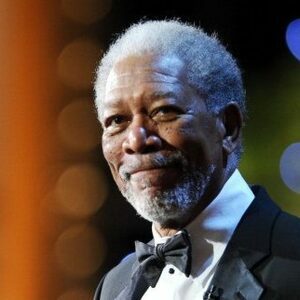 Morgan Freeman began his career on stage, first as a dancer and then as an actor, earning a Tony nomination in 1978. He transitioned to film work, and has since starred or played supporting roles in a string of hits, including "The Shawshank Redemption", "Unforgiven", "Driving Miss Daisy", and "Million Dollar Baby", for which he won an Oscar. He was born on June 1, 1937, in Memphis, Tennessee. Freeman has enjoyed both an impressive and varied career on stage, television and screen. Before embarking on an acting career, Freeman went to Los Angeles Community College and spent five years serving with the Air Force from 1955 to 1959. Once he moved to LA, he started taking acting lessons at the Pasadena Playhouse. For money, he worked as a transcript clerk at Los Angeles City College. At the same time, he was often traveling in New York City and in San Francisco working as a dancer and as a member of a music theater group, respectively. In the mid 1960s, Freeman first appeared in an off-Broadway production of The Niggerlovers and then with Pearl Bailey in an all-African-American Broadway production of Hello, Dolly! in 1968. Ever since, he has continued to have a successful career both on and off-Broadway and eventually on the big and the small screen. Along the way, he earned Academy Award nominations for his performances in Street Smart (1987), Driving Miss Daisy (1989), The Shawshank Redemption (1994) and Invictus (2009). 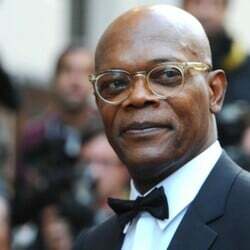 He won the Academy Award in 2005 for Million Dollar Baby. He also won a Golden Globe and a Screen Actors Guild Award. Freeman has appeared in other notable feature film productions such as Unforgiven, Glory, Seven, Deep Impact, The Sum of All Fears, Bruce Almighty, Kiss the Girls, Along Came a Spider, The Dark Knight trilogy and March of the Penguins. 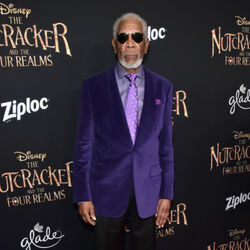 Morgan Freeman's Net Worth From Other Ventures: In March 2019 Morgan revealed that he had converted his 124-acre farm in Mississippi into a bee sanctuary. His net worth today is $200 million, but that's after he paid his ex-wife of 26 years, Myrna Colley-Lee $100-200 million in real estate and cash back in 2010. At one point Myrna had sought as much as $400 million based on the valuation of their holdings and his future earning potential.